Those suffering from discs that have begun to degenerate in their lumbar spinal regions are likely to suffer from a host of disabling, chronic, and in many cases debilitative pains in the lower regions of their backs. Most patients affected by spinal degenerative conditions that present the aforementioned symptoms can find relief from their symptoms without needing to undergo surgery. With that said, there are a number of patients that continue to experience pain even after surgery. In addition, there are a number of drawbacks to undergoing lumbar spinal fusion procedures. As a result, an increasing number of neurosurgeons and orthopedic surgeons have begun to consider the merits of artificial disc replacement surgeries. Spinal surgeons are on the cusp of developing an artificial spinal disc that is both safe and effective in the human body. More than forty years have passed since hip and knee replacement were first performed. While spinal disc replacement through artificial disc replacement is not a novel idea, it has only been within the past ten years that the technology and surgical procedures have become refined enough for European medical administrations to approve extensive clinical trials. There are a number of extraordinarily complex biological challenges that must be overcome in order for artificial disc replacement surgery to become a viable option for degenerated disc treatment. These challenges are lofty both in the designs and materials necessary to overcome them. Even though the materials used and designed for such procedures involve the most up to date technology, the actual surgical procedure of implanting artificial discs in the lumbar region of the spine is a relatively safe and routine one. The first part of artificial disc replacement surgery involves navigating to the vertebrae and pulling out the gelatin-like disc. After the disc is removed from the spinal vertebrae, the neurosurgeon or orthopedic surgeon inserts a pair of metallic plates under and on top of the area where the original disc was located. The plates are placed in the bony endplates and titanium spikes are used to hold them in place. Between the plates, a plastic and polyethylene spacer is fitted. The patient’s body weight then presses the spacer into place once surgery has been completed. There are times when the treatment provided by a surgeon to a patient is lacking or deficient. In such circumstances, serious injuries or death may occur. Such errors are typically the result of some example of medical negligence. It is possible that surgeons may become sloppy or careless while they execute the surgical procedure, and as a result, a number of negligent acts may be committed. Examples of such acts include using surgical utensils that have not been sanitized or sterilized, making incisions in the wrong parts of the body or at the wrong depths, or spending too much or too little time on the surgical procedure. 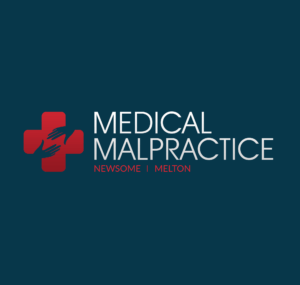 The risk of medical malpractice occurs with every surgery. Those who feel that they or a loved one are the victims of medical malpractice or negligence following an artificial disc replacement surgery are encouraged to contact a local, experienced medical malpractice attorney in order to review their claim and discuss possible legal recourse.